Our online shop has enjoyed great popularity since its recent launch. Allowing any customer unprecedented access to a wide range of our stainless steel products, the shop offers a quick, secure and cost-effective service. 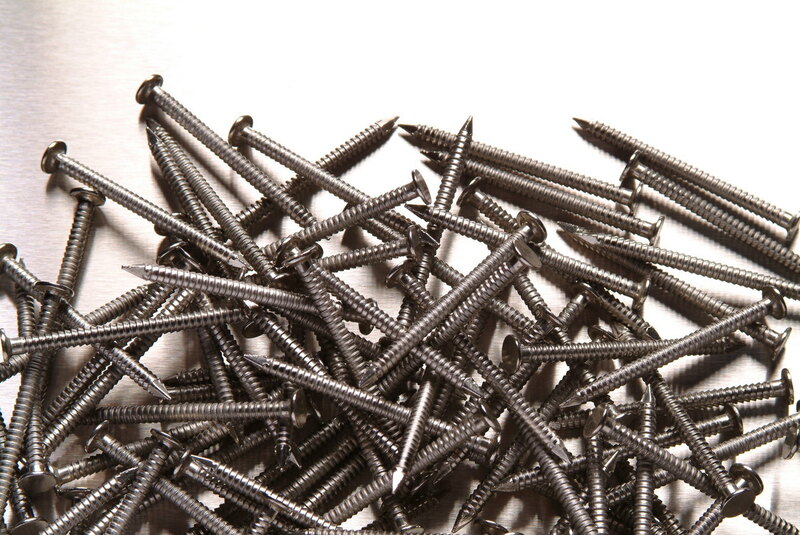 Perhaps our most-requested items in the online shop are stainless steel screws and nails. Incredibly strong and versatile, these essential fixings are manufactured to the highest possible standard, meeting and exceeding all official health, safety and quality standards. Stainless steel screws are used to strongly resist against withdrawal force, the curving threads locking tightly into place. BS Stainless are proud to provide stainless steel self-tapping screws that number among the best available, supplied under the strict specifi­cations outlined in our ISO 9001 accre­dita­tion. Our screws are available with a choice of head designs (slotted, hex and pozi pan) and in two standard sizes suitable for most applications; we can also manufacture bespoke sizes and offer other options such as zinc-plated or differing grades of metal. Complementing the range, a selection of EPDM, Polymide and Neoprene washers is also available. Designed to resist shear forces, stainless steel nails are incredibly versatile and are therefore used in a large and diverse range of applications. As with our stainless steel screws, we manufacture our ring shank nails to the highest possible quality standard and can produce any bespoke size and grade. Our standard nails, fabricated from durable and corrosion-resistant 304-grade stainless steel, are perfect for most timber applications and are sold in packs of 1, 5 or 10kg. Please enjoy browsing our online shop and do not hesitate to contact our skilled team if you require information or advice about choosing exactly the right product for your intended purpose. You can contact us on +44 (0)1772 337555 or email info@bsstainless.co.uk. BS Stainless - your partner for stainless steel.